Hi everyone! 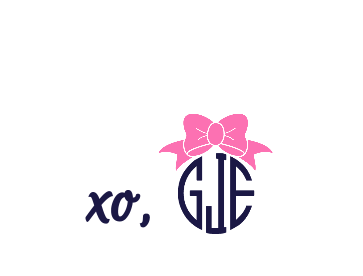 I hope September has been great month for ya'll! Most of my favorites this month have still been pretty summery mostly because it still Hot here in Georgia! 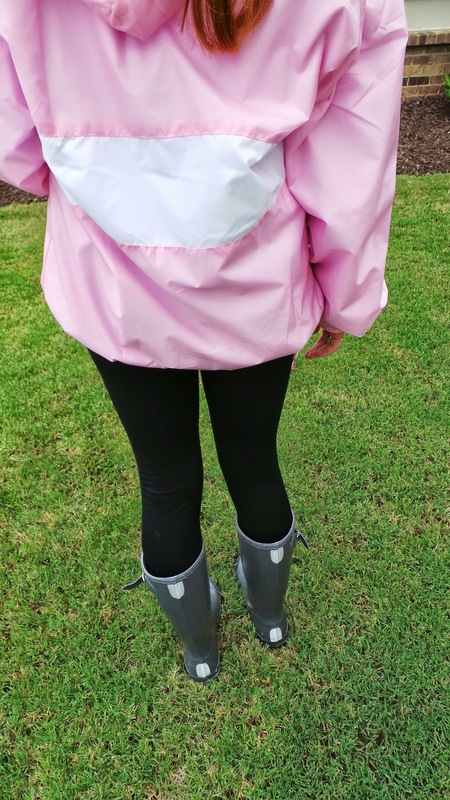 I am so excited to start showing you all my favorite fall fashion but until then I might still be in a sunny state of mind! 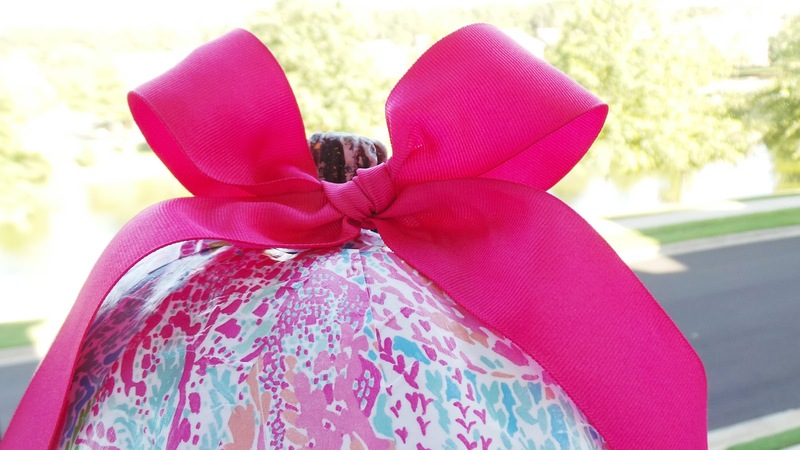 I have been loving bows this month and been wearing them every chance I get! 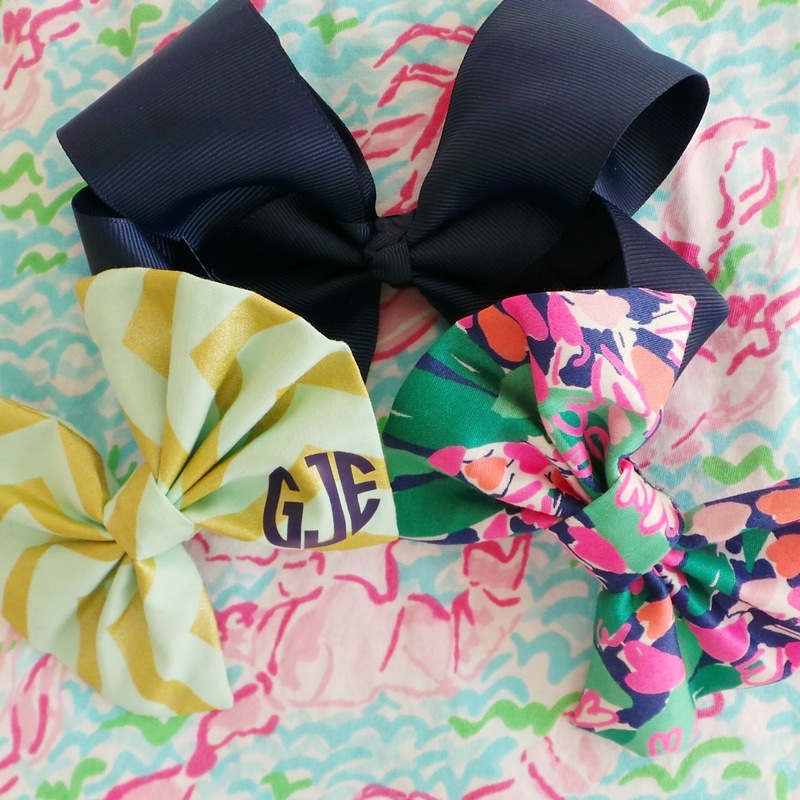 I got the smaller 2 bows are from PreppyBowsandSass and I love them! 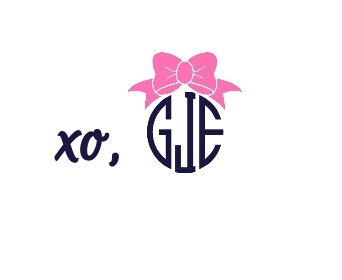 I am a rep for PreppyBowsandSass and my rep code is GRACIEREP and its good for 15% off orders of $10 or more! 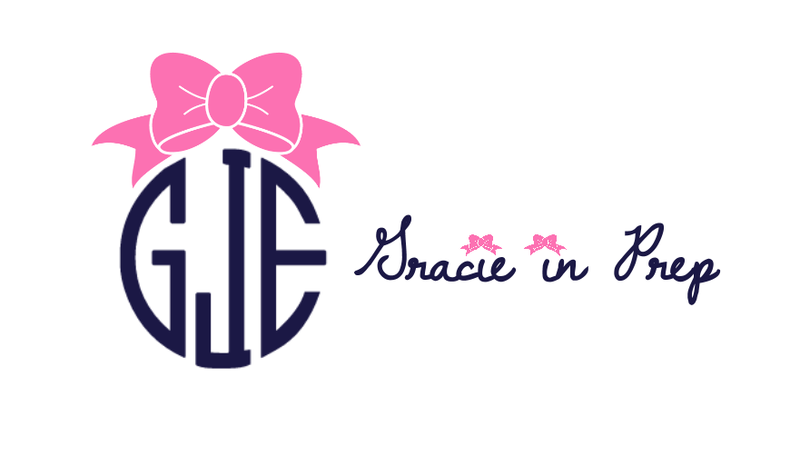 The quality of the bows is great and I definitely recommend this company! I have found myself dressing down at least one a week due to the late nights of homework and studying as my sophomore year has started. 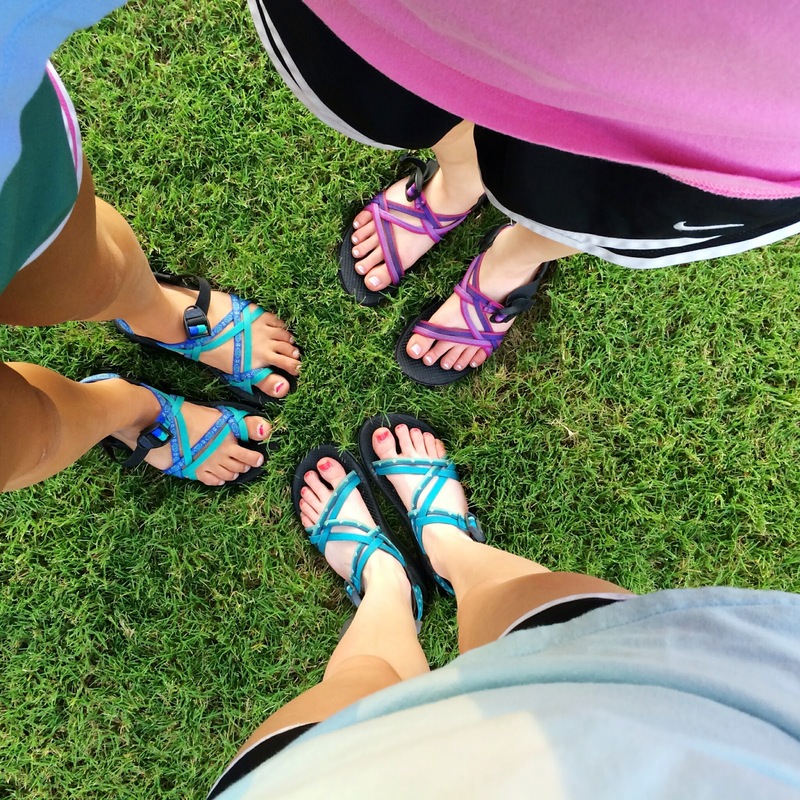 These are the most comfortable shoes and I love to wear them with leggings or norts! 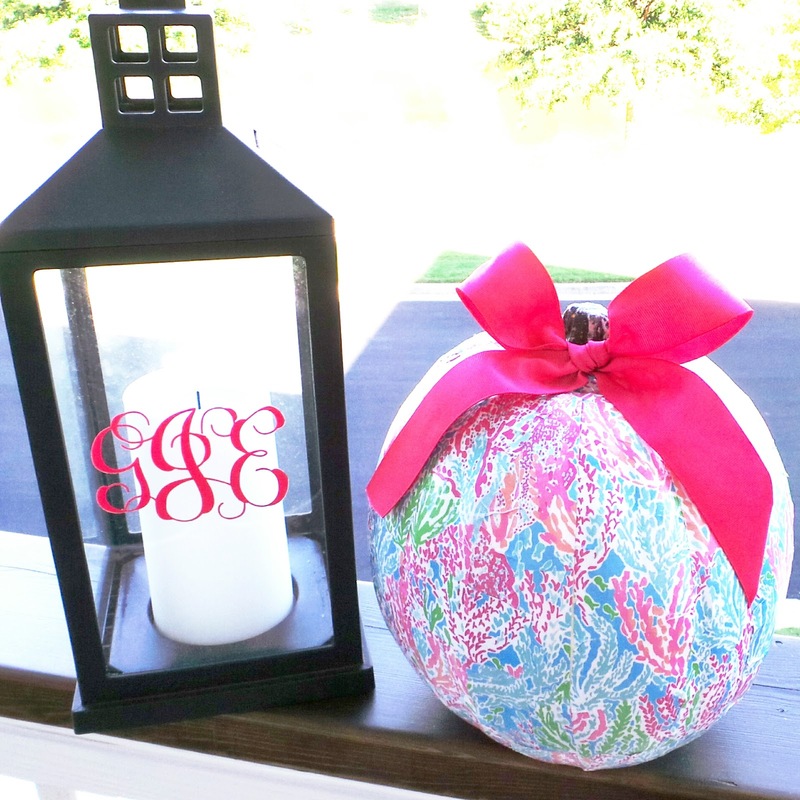 I made this adorable Lilly Pulitzer Pumpkin recently and I have a tutorial for it here! 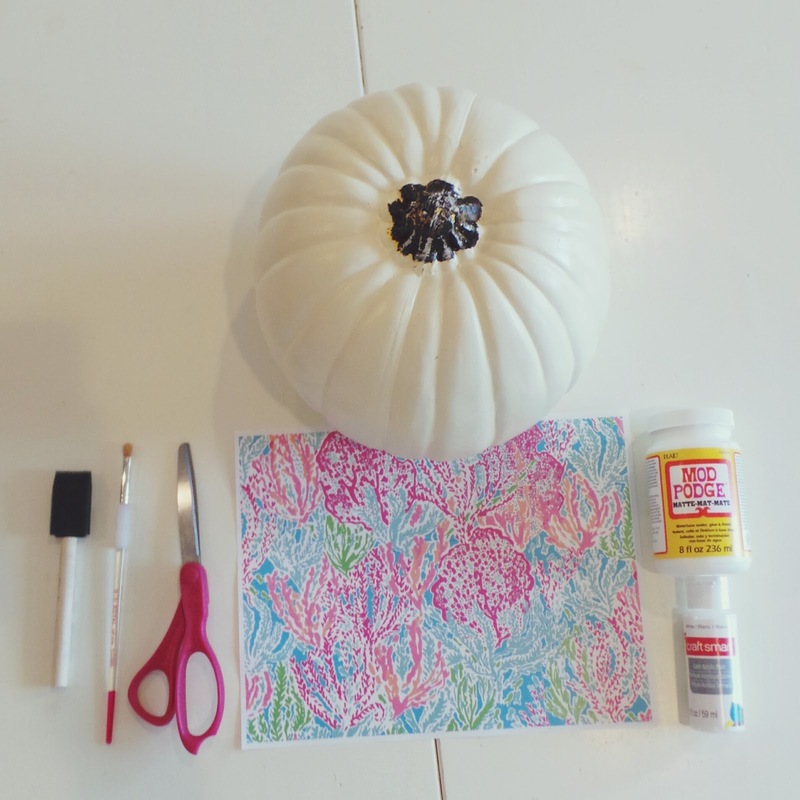 I put in on my desk and its added a pinch of Lilly to Fall! 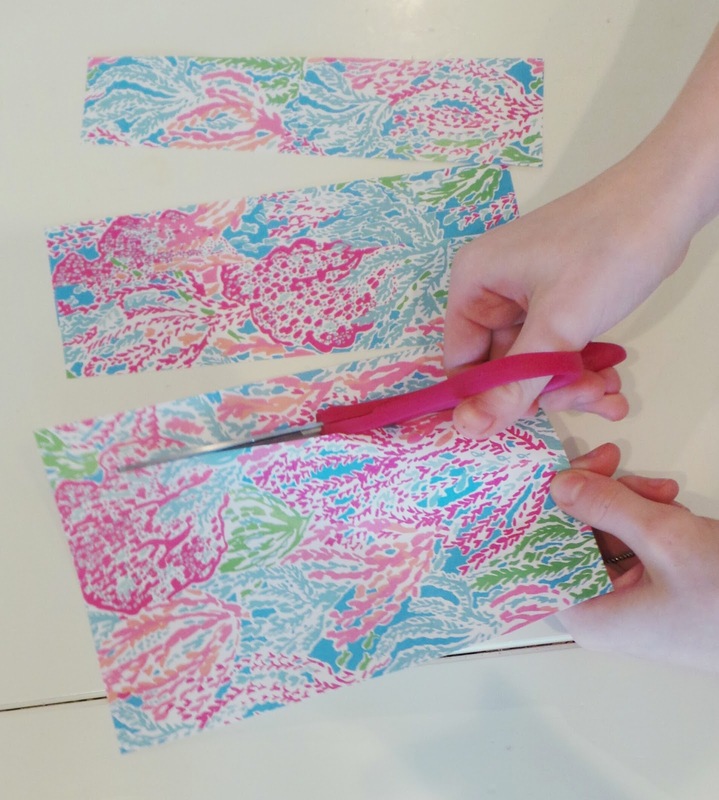 It was super easy and fast! 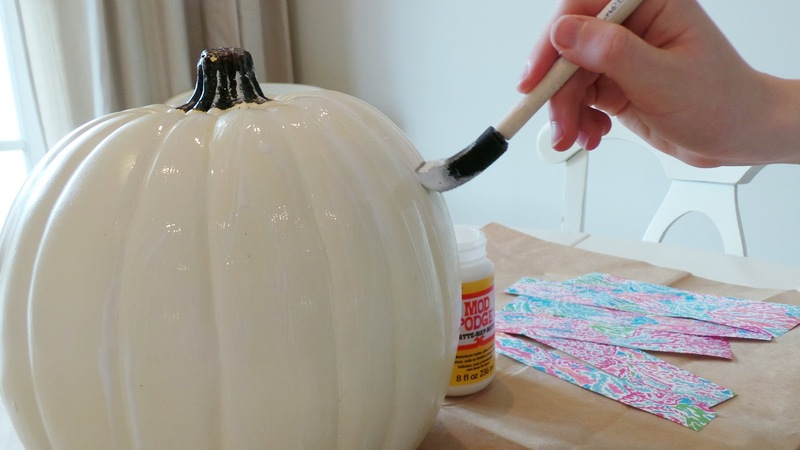 All the instructions are on my earlier post if you want to do this adorable diy! My counselor from camp this year talked about this verse and its been on my heart ever since. God loves us and will always be for us! 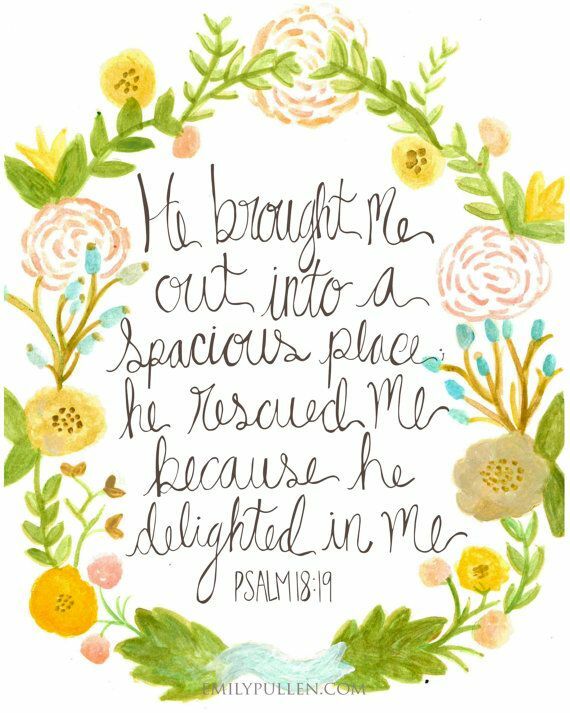 Even on our worst days and when we fail he will be there and rescue us and pick us back up because he delights in us! 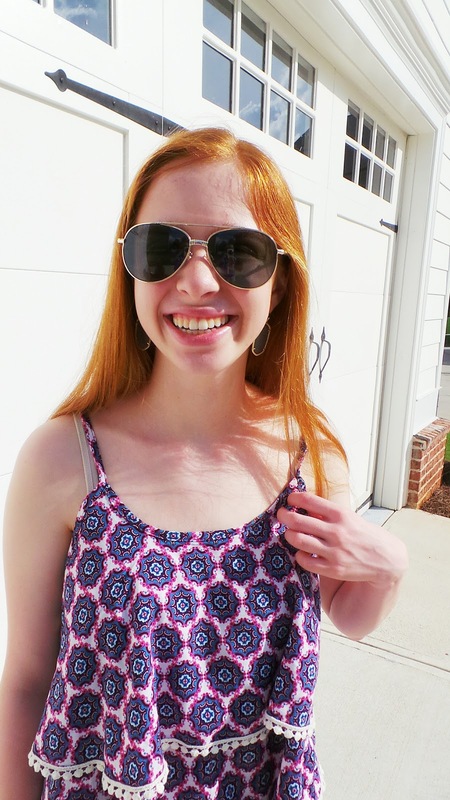 I have loved blogging and I am so glad I started this blog! It's truly a fun hobby for me that I never thought I would do but i'm so glad that I am! 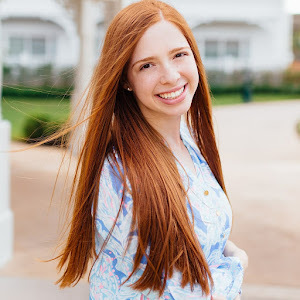 Thank you for all your support of me and my blogging journey! 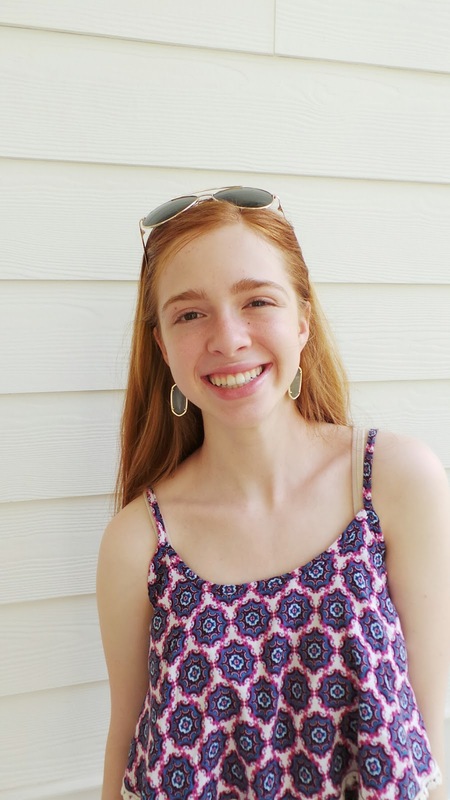 I can't wait to see what the future brings for this blog! 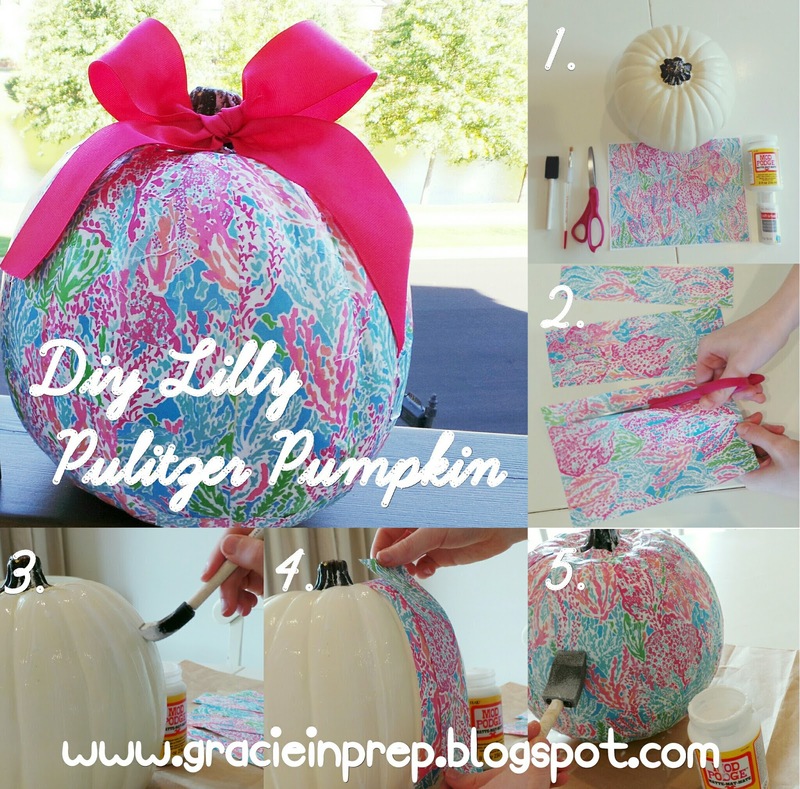 Today i'm doing a tutorial on how to make these adorable Lilly Pulitzer Pumpkins! 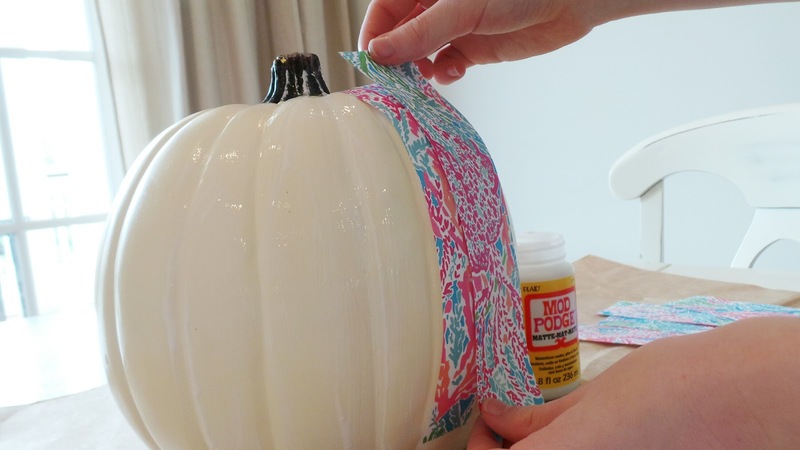 They are super easy to make and they add a touch of Lilly to fall! 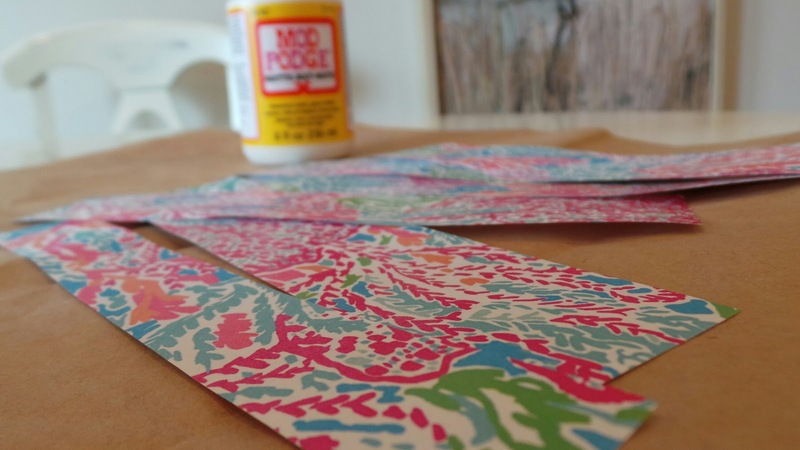 These are great for mixing up the orange and black with some patterns and colors! 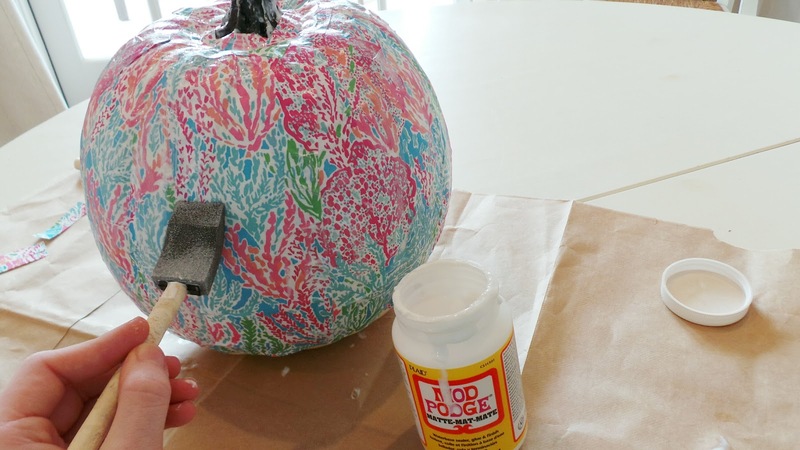 Pick your favorite print and read these instructions and you will be on your way to making one of these Lilly Pulitzer Pumpkins! 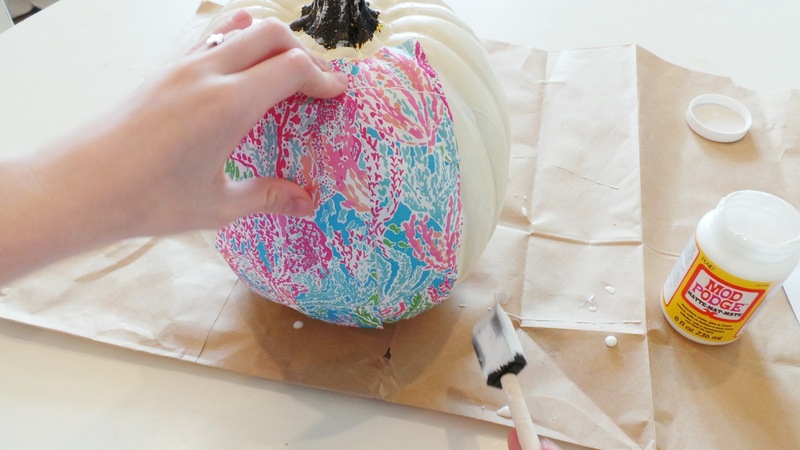 ps: Put something down when you do this, it can get messy! Please feel free to comment if you need any help! Hi everyone! I hope you had a great week! 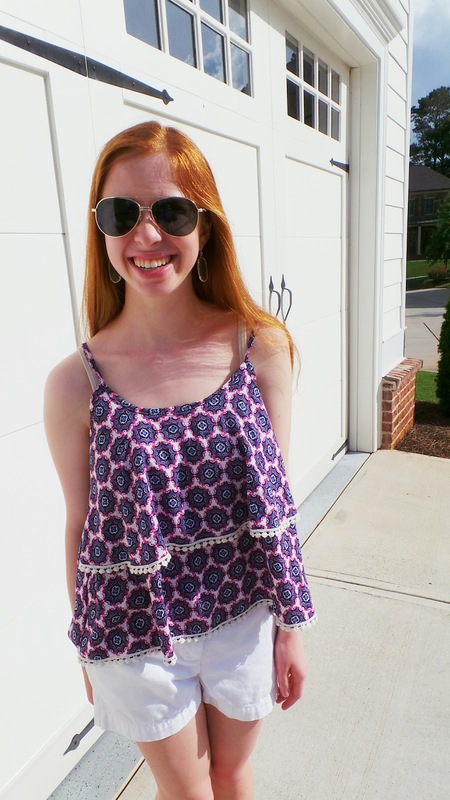 I have been loving the pom pom trend recently and picked up this adorable top from Marshals! It's still hot here in Georgia but I'm so excited for fall! 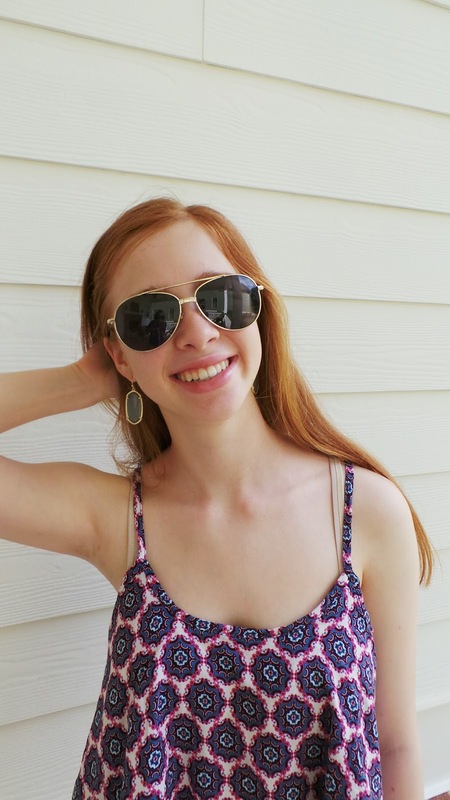 I'm still loving these Kendra Scott Elle earrings that I got from the Nordstrom sale a while back and can't wait to start wearing them with vests! I sure hope so! 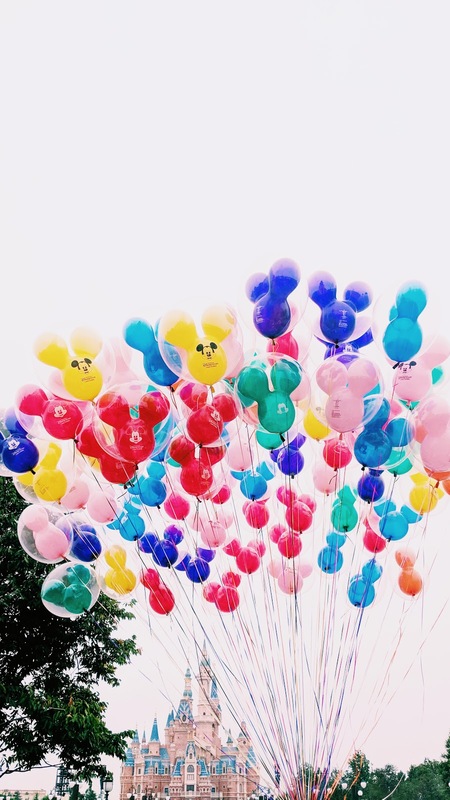 I am so thankful for everything I have been blessed with but if I had some spare change, after spending it at Disney World (If you didn't already know I am also a huge Disney lover), these would be next purchases! I probably will only get 1 or 2 of these by next fall through sales but I can dream right? 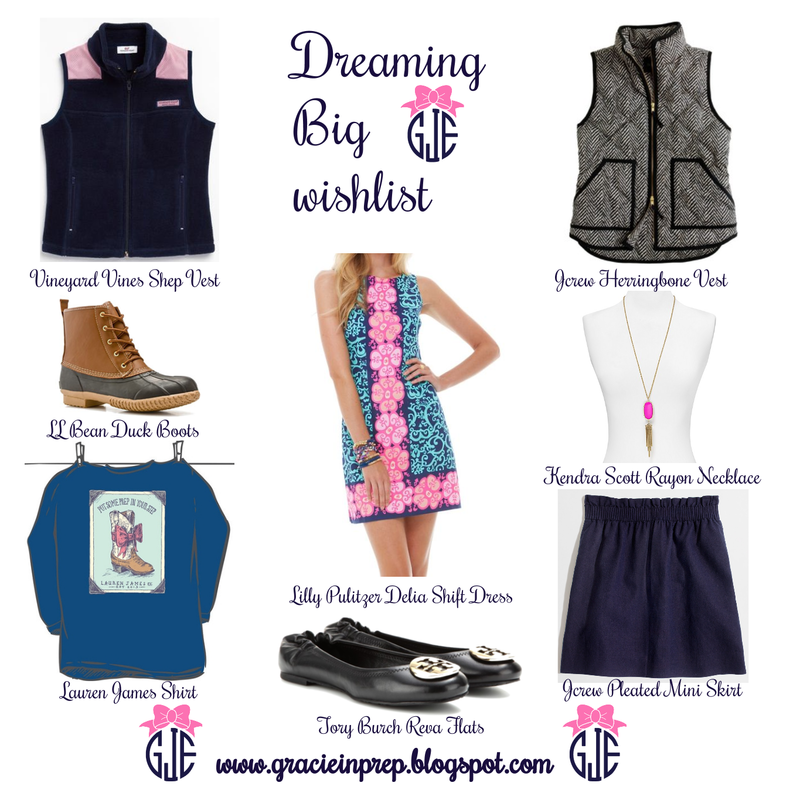 Most of these items are pretty typical of a Southern Belle (#basic) but I am one so I automatically fell in love with all of them! Hi everyone! 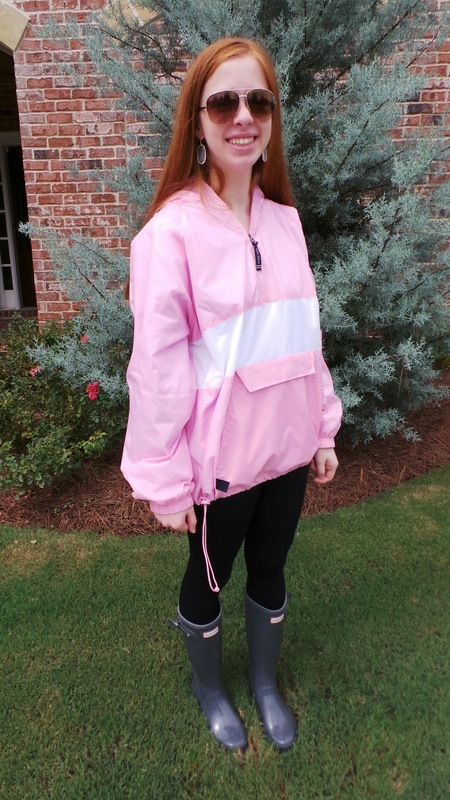 I got this adorable Charles River Apparel Pullover that is so cute! 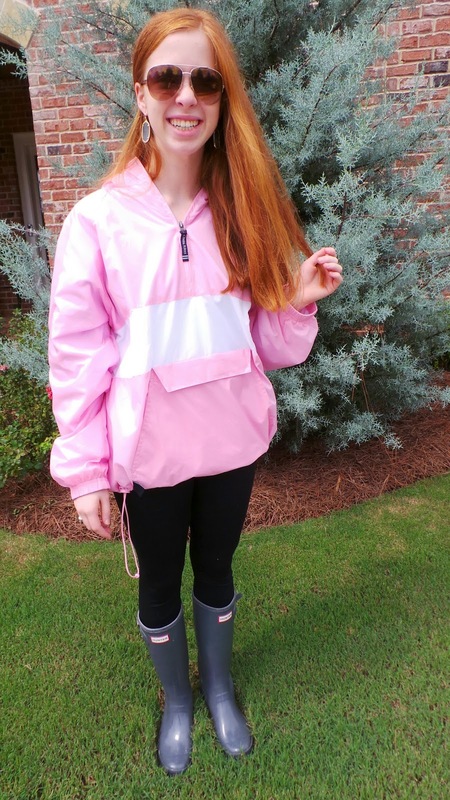 It's perfect for Fall and when it's raining! 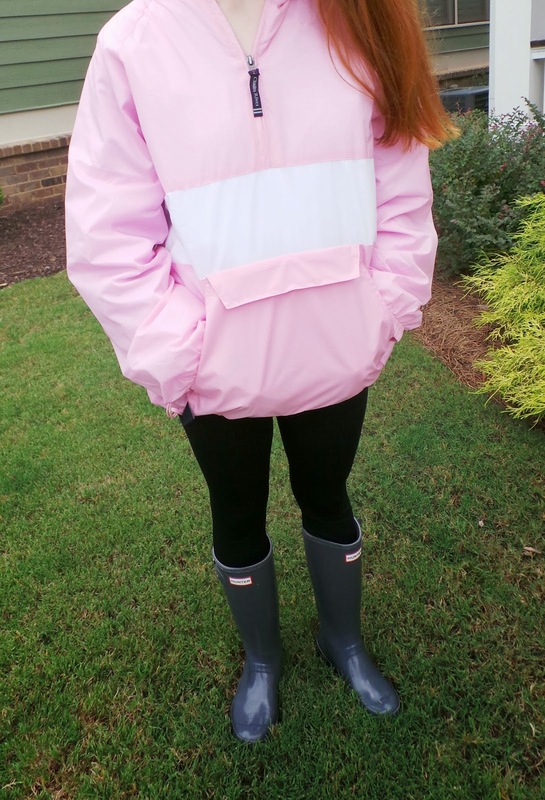 Its so warm and soft and I will be definitely be wearing this a lot this season! 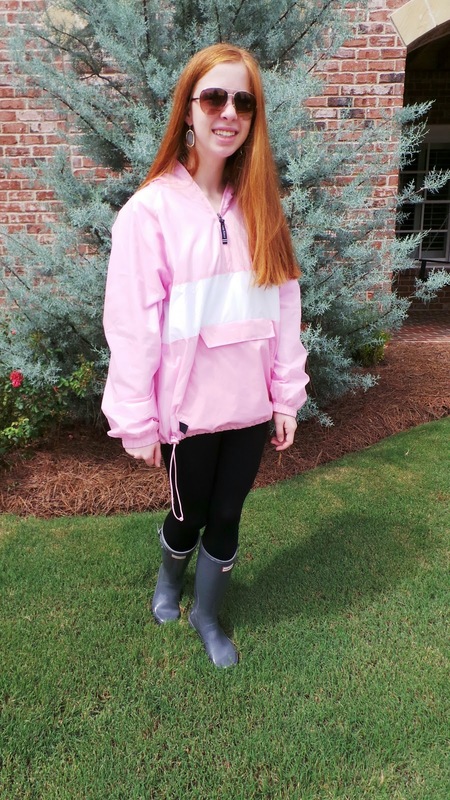 I paired it with my hunter rain boots but its also great for cool days in Georgia! 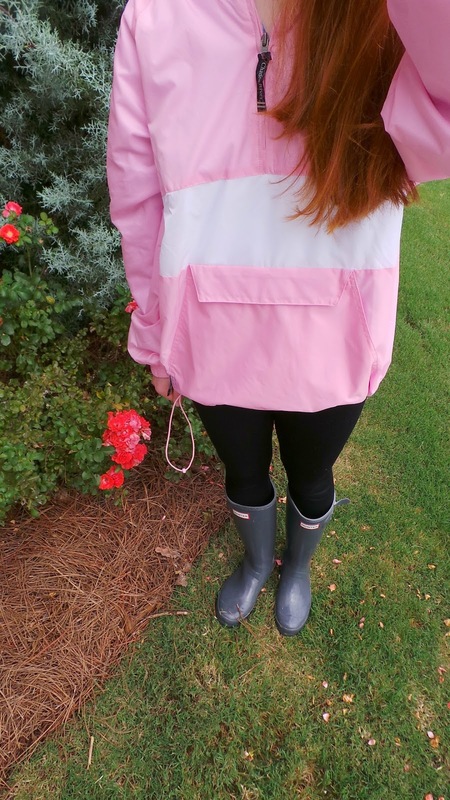 I teamed up with Charles River Apparel to Giveaway one of these adorable Pullovers! Check out my Instagram to enter! Good luck! Hi everyone! Today is September 10th, my half birthday (which I don't really celebrate) however I have some adorable pictures from my birthday party last year and I thought now would be the perfect time to share them! 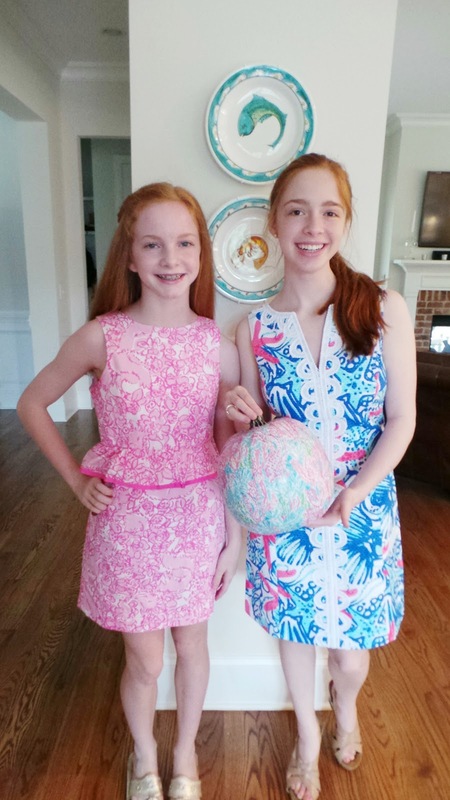 I had a Southern Prep Birthday Party for my 15th birthday that was inspired by Lilly Pulitzer, Vineyard Vines, and all things Preppy! 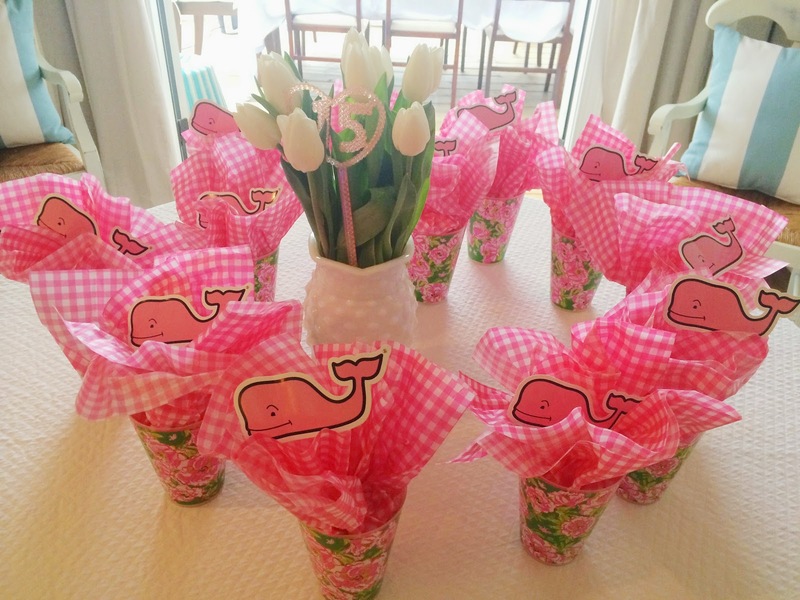 Keep reading to see all the details and pictures from the party! 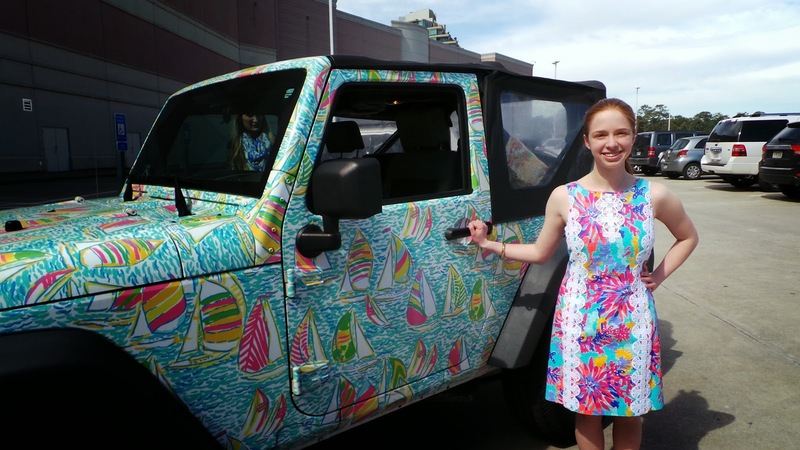 A few days before my birthday the Lilly Jeep came to my local Lilly Pulitzer store and I purchased the dress above to wear to my Birthday Party! 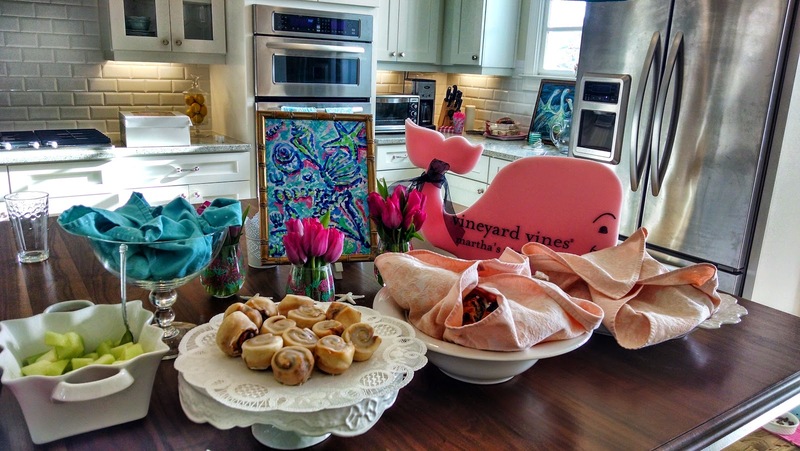 While I was at the Lilly Store they were having a giveaway for a Lilly Pulitzer Print Studio Original Painting and I WON! I couldn't be more excited and I remember not believing that it happened to me! I found my invitation from Etsy! 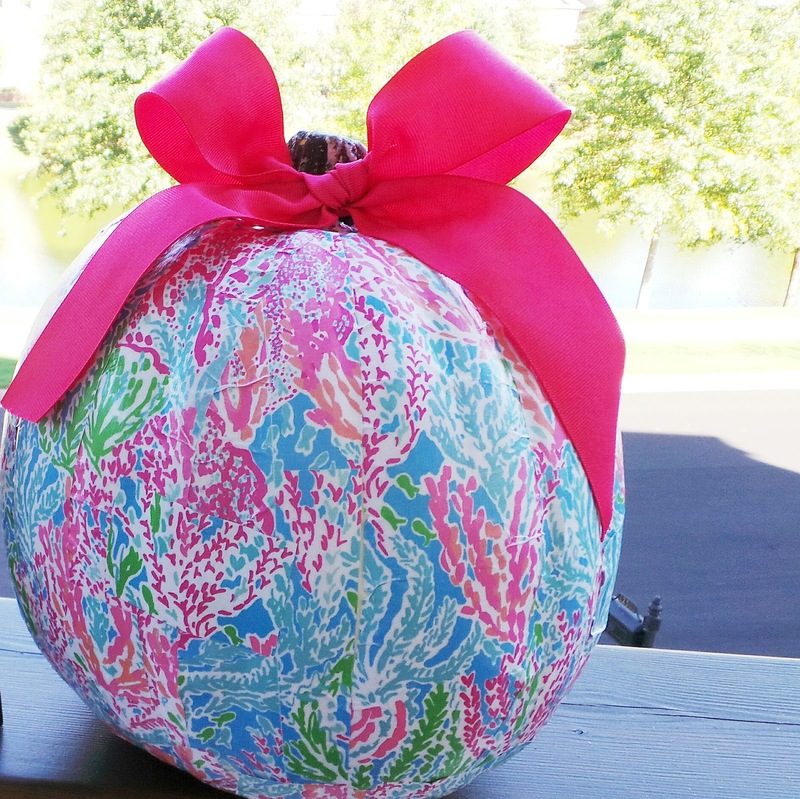 I Loved it because it had my two favorite things, Lilly and monograms! 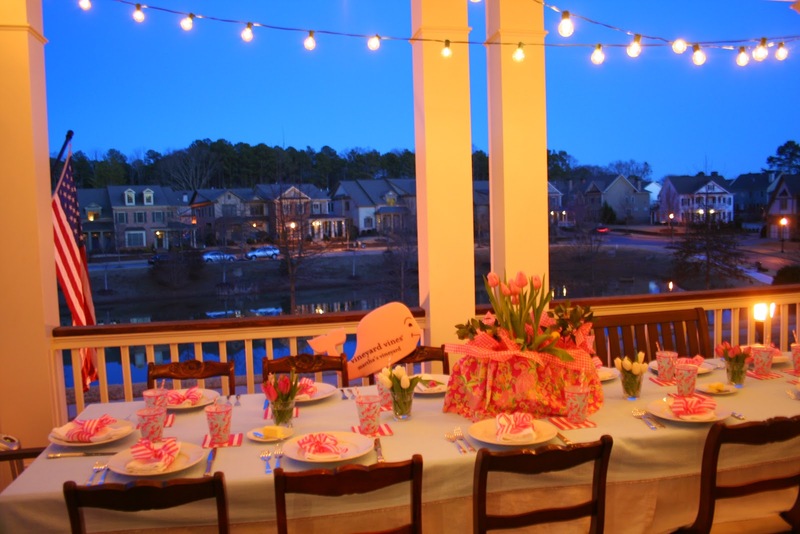 We actually found a vintage Lilly Pulitzer Minnie dress at a consignment sale and used it in the centerpiece along with tulips! I loved how this cake turned out! Surprisingly enough we got it from Publix and they did an Amazing job! 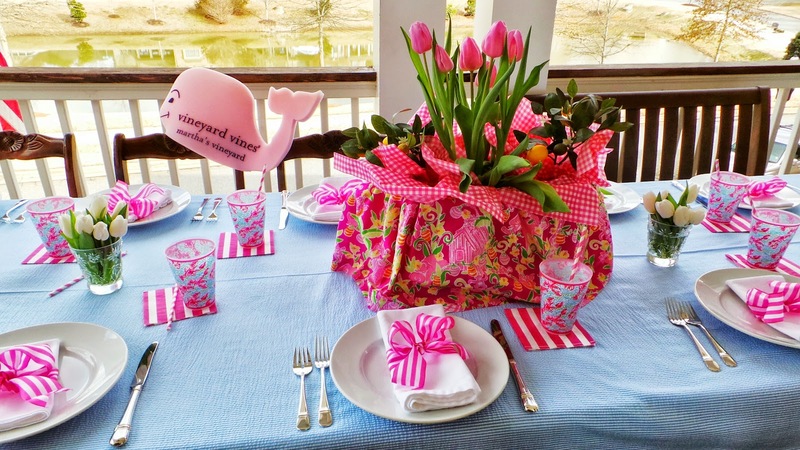 I also got whaley good petit fours with the Vineyard Vines whale on them!